Santa Anita Park has announced that it will again offer fans free shuttle service connecting The Great Race Place with the Metro Gold Line Arcadia Station beginning opening day of the track’s 23-day Autumn Meet on Friday, Sept. 30. 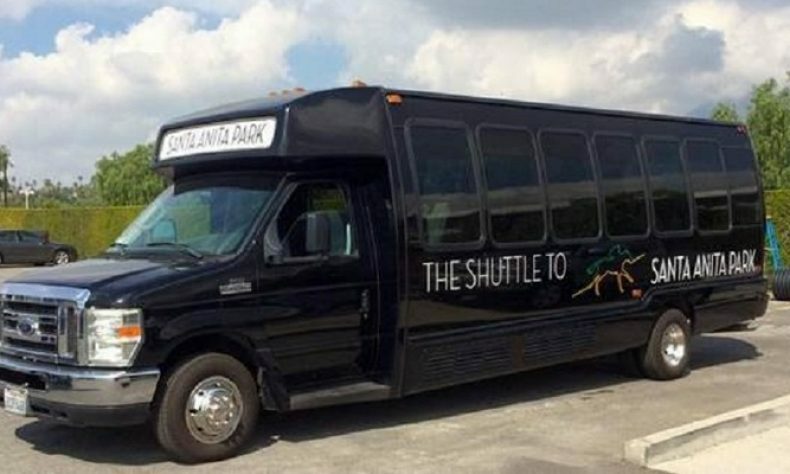 Beginning tomorrow, the Santa Anita shuttle will run on all race days and will operate in conjunction with Arcadia’s Transit Shuttle, providing fans with a non-stop trip to and from Santa Anita. The Santa Anita Shuttle will operate with pickup and drop off service available every 20 minutes, from 10:30 a.m. to 6:30 p.m. each racing day. Santa Anita Ambassadors will be available to assist fans who may have questions regarding their visit to Santa Anita. In addition to the Santa Anita Shuttle, the Arcadia Transit Green Line Shuttle, which features stops at Santa Anita, Methodist Hospital, the Westfield Santa Anita Mall and the L.A. County Arboretum, will operate seven days a week from 7:10 a.m. to 6:36 p.m. Regular post times are 12:30 p.m. on weekends and 1 p.m. on weekdays. For closing week post times, please visitsantaanita.com. Santa Anita Park is a Stronach Group company, North America’s leading Thoroughbred racetrack owner/operator. The Stronach Group racetracks include Santa Anita Park, Gulfstream Park & Casino, Golden Gate Fields, Portland Meadows, Laurel Park and Pimlico Race Course, home of the world-famous Preakness. The company owns and operates the Palm Meadows Training Center in Florida, and is one of North America’s top race horse breeders through its award-winning Adena Springs operation. The Stronach Group is one of the world’s largest suppliers of pari-mutuel wagering systems, technologies and services. Its companies include AmTote, a global leader in wagering technology; Xpressbet, an Internet and telephone account wagering service; and Monarch Content Management, which acts as a simulcast purchase and sales agent of horseracing content for numerous North American racetracks and wagering outlets. The Stronach Group is North America’s premier supplier of virtual online horseracing games, as well as a leading producer of social media content for the horseracing industry.